To succeed in today's competitive beef industry — and maintain a profitable enterprise tomorrow — you need a wide range of feed products to match to your operation's requirements, plus supporting services to add vitality to your business. Today's cattle require rations with greater nutrient density to help them reach their genetic potential for fast and efficient lean muscle growth. The beef consultants at Farmers Win Coop use Purina's proprietary Ration Balancer™ Program to help you design a feed program that will optimize the performance and efficiency of your cattle. How cattle eat during their first two to three weeks in the feedlot often determines how they will perform for the rest of the feeding period. 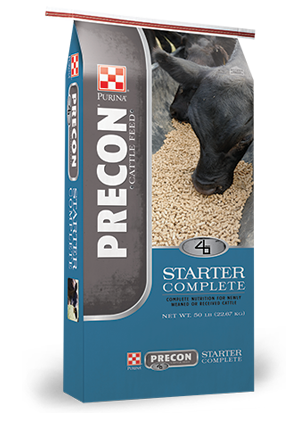 Purina® Precon® Complete is a complete pelleted ration for preconditioning calves on farm or receiving calves in backgrounding operations or feedlots. Download an info sheet. 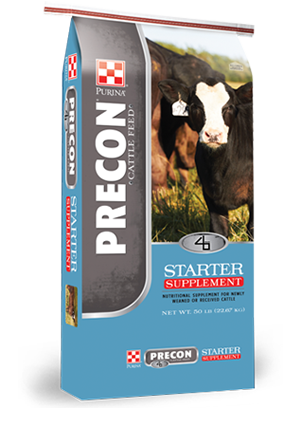 Purina Precon Stress Care™ 5 - a semi-complete feed designed to be fed at 5 pounds per day to starting cattle along with hay or grass. Download an info sheet. 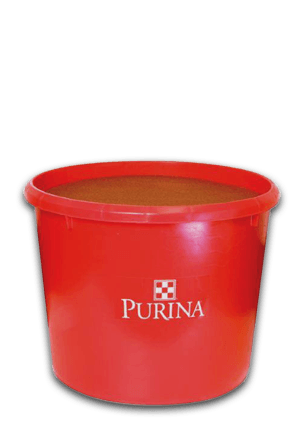 Purina Stress Tubs - a highly fortified protein tub with vitamins and minerals to provide optimum nutrition to calves in stressed conditions either in feedlot or after weaning. Purina's Intake Modifying Technology® (IM) feeding system stimulates cattle to consume multiple, small snacks of the supplement. 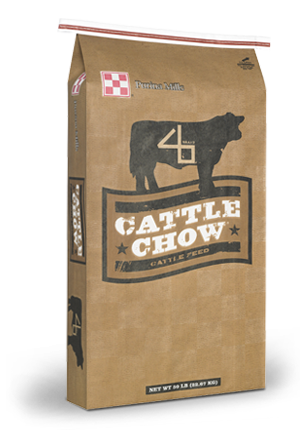 It increases forage intake, overall cattle utilization, and cattle perfomance. 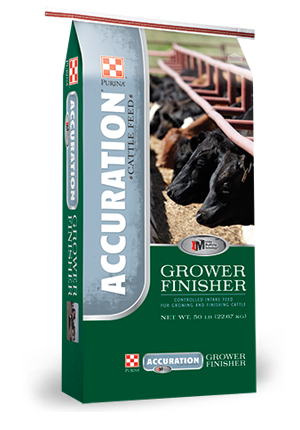 Purina® Accuration® Grower - a supplement for mixing with grain for growing/developing calves weighing 400 to 650 lbs. after they receive starting rations. The supplement is formulated to provide intake modifying properties to the complete ration. 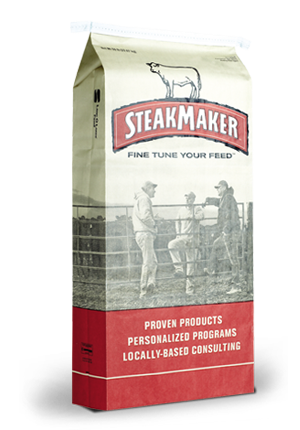 Steakmaker IM Finisher - a plant protein and NPN supplement designed for controlling intake of feedlot cattle. Availably with Rumensin and Tylan. QLF Core Max - designed to balance feedlot beef rations when corn by-products are fed to growing-finishing cattle. High in calcium and trace minerals. Low in phosphorus. Purina Dairy Beef Growers and Finishers are designed to be mixed with whole shelled corn to provide necessary protein, vitamins and minerals for optimum growth of growing and finishing dairy beef cattle in a self-fed ration. Vegetable and NPN protein options available.